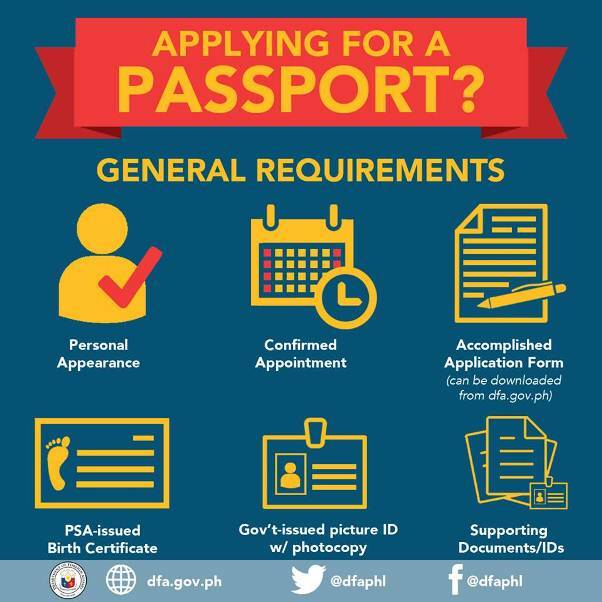 If it's your first time to apply for a passport in the Philippines, this step-by-step and detailed guide on how you can go about it should help you make the process easier and quicker. Getting a passport in the Philippines really isn't that hard. Just follow the instructions below. You can print out this article for future reference. Step One - Get a copy of the passport application form and completely fill it up. You can avail of this form from any Department of Foreign Affairs (DFA) office. You can also download it from the official website of the DFA. Just copy the form and have it printed out. In the form, you will be asked to provide your complete name, place of birth, date of birth, gender, civil status, address, occupation, citizenship, and contact numbers. Step Two - Get a copy of your birth certificate in Security Paper (SECPA) that's issued by the Philippine Statistics Office (PSA). The certificate can also be a certified true copy issued by a local civil registrar but it must still be authenticated by the PSA. Step Three - Make sure that you have the necessary valid IDs and supporting documents. You should have at least one (1) valid ID and two (2) supporting documents. 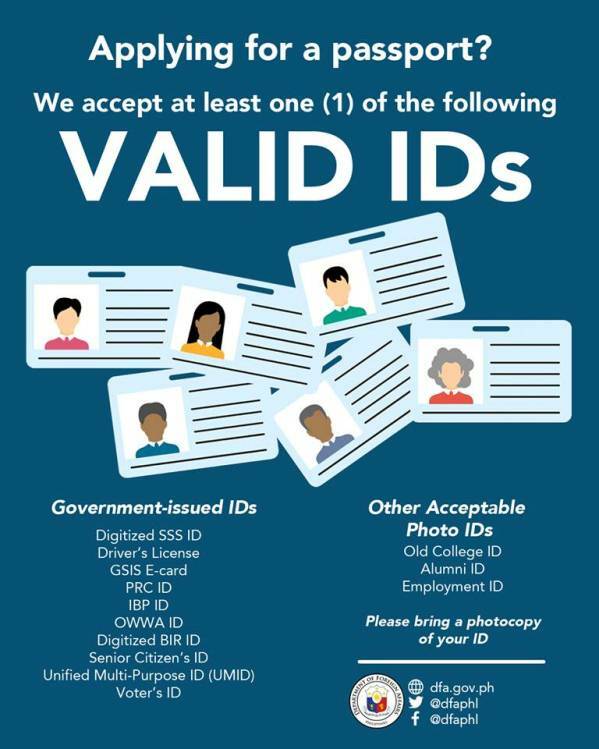 Below is a list of accepted valid IDs and supporting documents as put forth by the DFA. Step Four - Schedule an appointment. There are two ways on how you can do this. You can directly visit any of the DFA's regional consular offices and their satellite offices located in selected malls. Or you can schedule an appointment online. It's highly recommended that you schedule an appoint ment online. It's easy and hassle-free. To do it, use the following link: [https://www.passport.gov.ph/appointment]. Just follow the instructions and you are good to go. Step Five - Go to the consular office or satellite office on the date and time as stated on your scheduled appointment. Don't forget to bring with you the duly accomplished application form, your birth certificate, a valid AD, and two of the required supporting documents. Step Six - Proceed depending on what happens or what's advised for you to do during your first appointment. That's it. If your application is successful, you can get your passport within a few weeks. Note: There are two types of passport processing. These are express processing and regular processing. For express processing, the fee that you will pay is 1,200 pesos and your passport will be processed between 7 to 10 working days. For regular processing, the fee is 950 pesos and your passport will be processed between 20 and 30 working days.